350 Seattle’s benefit concert for Our Children’s Trust. — Seattle Cascadia Now! 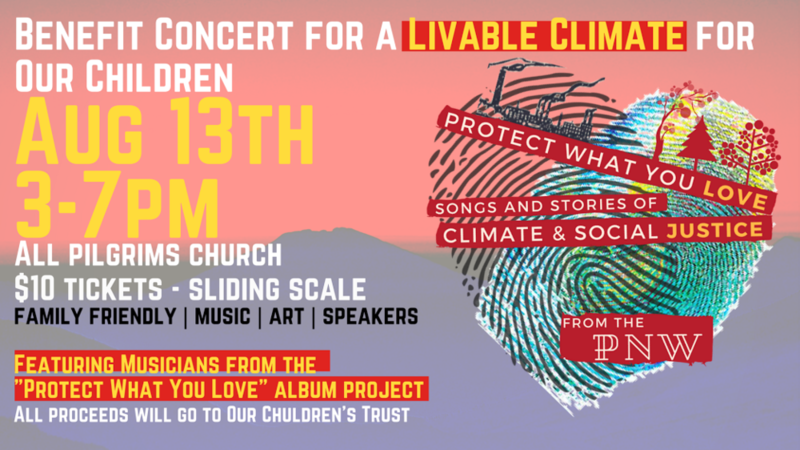 350 Seattle, a grassroots movement for climate justice, will be holding a benefit concert on August 13 for their partner organization, Our Children's Trust, who are doing legal work to support 21 plaintiffs suing the US Government for their right to a stable climate. The night will be filled with song, art, and dance in an effort to raise money for the organization. CascadiaNow! will have a table, and encourage you to look into how you can help by emailing Ale, blakely.ale@gmail.com to join their team and volunteer.